Is yours one of the many families whose “school year” has a beginning, an end, and then a break before the next year begins? Schooling at home is something to celebrate, and when the end of the year arrives, it presents an opportunity for joyful recognition and reflection. Here are some ideas for ways to make it memorable and special for your family. 1. Celebrate growth! Have everyone in the family make a list of some of the things they are glad they learned or ways they have grown over the past year. This exercise is especially helpful for parents, who may have overcome many challenges without realizing it. Compliment each other on your efforts and accomplishments. 2. Reflect as a family. The school year may be over, but learning never stops. Together as a family, discuss the things you are most interested in learning over the summer and perhaps during the next year. How can you support each other’s goals and wishes? Show your child by example that adults are perpetual learners, too, and talk with them about what you’re most interested in exploring and learning. 3. Make testing fun. If your distance learning program, homeschooling curriculum, or state requirements involve end-of-year testing, make it an extra special event! Decorate the room where the test will be taken, plan some healthy treats to enjoy during snack breaks, throw a five-minute dance party to get the wiggles out and energy up between tests, and celebrate in style when the testing is done. 4. Revisit Main Lesson Books. 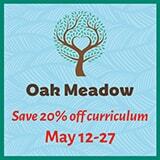 Are Main Lesson Books (MLBs) a part of your Oak Meadow experience? 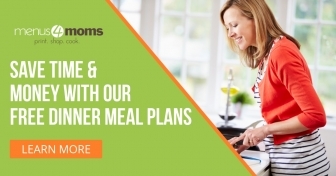 Spend some time together with your child looking back over their MLBs or notebooks for the past year. (For extra fun, pull out MLBs from years past and marvel together at how far they’ve come!) If you or your child have a favorite MLB page, take a photo and send it to us. We love seeing the beautiful work that develops in student MLBs, and we would be grateful for the chance to share examples with others who are just beginning their Oak Meadow journey. 5. Make a memory collage. This is another project that is a lot of fun to do together as a family. Did you go on any memorable trips or outings this past year? What were some of the funniest moments? Do any particular words come to mind that can be woven into this tangible reminder of what this year meant to your family? 6. Have children evaluate themselves. Let each child write an end-of-year report on their own progress. What did you do really well this year? What areas would you like to keep working on improving? Include this report in their file, portfolio, or record for the year. When the new year rolls around, revisit it to remind yourselves about things your child would like to continue to work on. 7. Give silly awards. 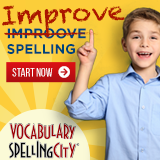 Some children are motivated by competition and love getting recognition for their accomplishments. In the spirit of a collaborative learning environment, keep it light and make it funny. Best ice-cream cone eater! Most devoted user of the color purple! If you have multiple children, have them secretly nominate each other for the “best…” and create fancy certificates or ribbons for each other. Have a mock awards ceremony complete with pomp and circumstance. 8. Share your child’s work with others. If you are both comfortable with it, plan a “show and tell” gathering and invite people who would enjoy seeing and learning about the wonderful work your child has done over the past year. You might have your child display their favorite projects or creations, share their Main Lesson Books, mark favorite lessons in their curriculum books, show photos of memorable events, offer a performance, and/or give a little speech about what they have most enjoyed learning. Be thoughtful in limiting your invitations to close friends and family who are supportive of your educational choices and who will be more appreciative than critical. 9. Write your child a keepsake letter. Describe what you have witnessed in their growth over the past year, in academics and other areas of their development. Keep it positive. Point out some of the things you have enjoyed most in working with them this year. Perhaps you recognize important accomplishments that may not be seen by the outside world. Give them the gift of words handwritten on sturdy paper that they can keep, treasure, and reread when they need a boost of confidence. 10. Celebrate their way. Rites of passage are important in children’s development, and the transition from one phase to the next can be very meaningful. Let them tell you how they would like to mark this transition. This may feel especially important after the first year of learning at home, at a time when their peers are marking a similar transition (such as the end of elementary or middle school, the beginning of high school, or high school graduation), and at the end of their homeschooling or distance-learning journey. Above all, remind your child (and yourself) how proud you are of their willingness to approach learning in a creative, heart-centered way. This requires a leap of faith on everyone’s part, and it is so gratifying to reach the end of the year and look back on the things that went well. Congratulate yourselves, and look forward to whatever the new year will bring when the time comes. How do you celebrate the end of the (home)school year? What are your family’s traditions? 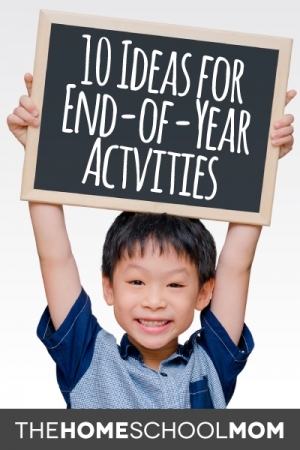 Do you have any new or different ideas to add to the above list of end of the year homeschool activities? Banish Homeschool Burnout in One Week!